Estee Lauder completes its Advanced Night Repair Serum range with two new non-stripping cleansers. 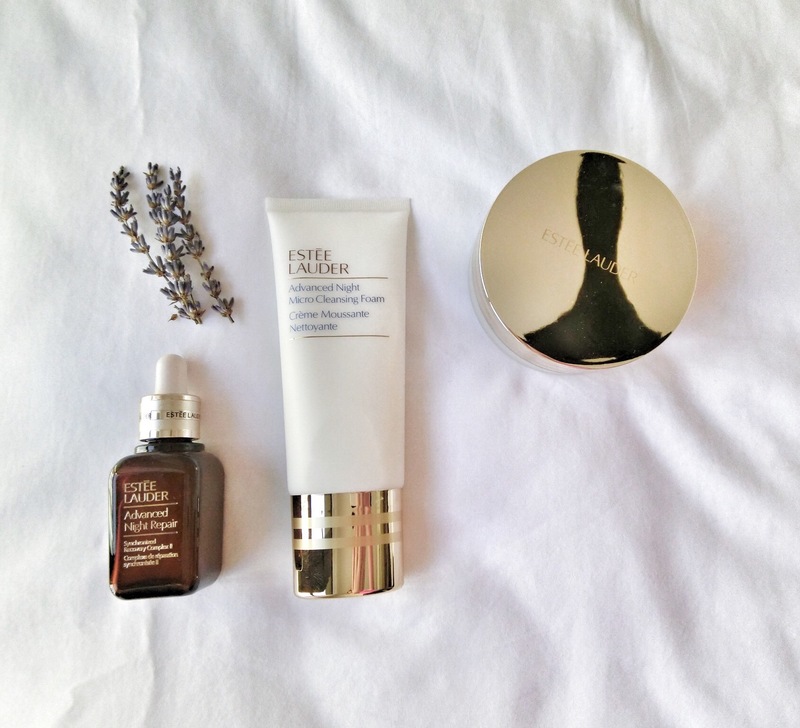 The Advanced Night Micro Cleansing Balm ($56) is made for dry skin and to remove make-up. Uncap the jar of balm and it gives off a calming lavendar and chamomile scent. A pre-bedtime luxury. Apply the balm on dry skin with fingertips, and it turns into an oil when rubbed onto a warm face. Add water and you get a thin, milky emulsion. Rinse. It left my skin soft and supple. But for extra cleansing – because I’m particular about keeping my combination skin clean after a long day with make-up on, like that – I follow up with the Advanced Night Micro Cleansing Foam ($52). This watery milky lotion – also scented with lavender – foams up thinly so skin is not stripped of oils while ot is being cleanses. That is why it perfectly complements the balm as a two-step cleansing regime for those with combination skin, and wear makeup regularly 💋. Launching at Estee Lauder counters in May. And of course, finish the ritual with the brand’s signature Advanced Night Repair serum.